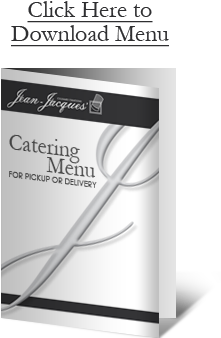 Our complete Catering Menu for Pick-up or Delivery is designed for those times when the occasion or budget calls for easy entertaining at your home or office. A minimum of 48 hour notice is required to place your catering order along with a 10 person minimum per item. 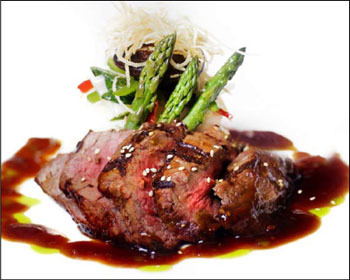 Our chefs are very careful in following any special dietary requests or food allergy restrictions. Select from an extensive menu of hors-d'oeuvres, party platters, soups, quiches, salads, entrees, accompaniments, breads, breakfast pastries and desserts. Our party foods and desserts come ready to serve on elegant disposable trays. Hot menu items are prepared in aluminum pans convenient for easy reheating. Our experienced staff can assist you in designing your menu and determining the quantities necessary to serve your guests. Catering orders may be picked up at the Cafe, or delivery can be arranged.